At the Burgess Center for Cosmetic Dentistry, in Jacksonville, many of our patients see cosmetic improvements within days of receiving BOTOX injections with results that can last for months. Dr. Burgess often prescribes BOTOX treatments after cosmetic dental procedures to re-shape the brows, reduce wrinkles and improve the patient's facial symmetry. During a treatment for facial rejuvenation, very low doses of BOTOX Cosmetic are administered via several small injections directly into the muscles of the face. Although the results after a BOTOX injection are visible, this aesthetic treatment will not radically change your facial appearance or make you look as if you had cosmetic work done. The muscle activity that causes fine wrinkles or frown lines between the brows is reduced, so you still have facial expressions but without the distracting wrinkles and creases between your brows. Your doctor's skill and experience in identifying these points can be critical to the success of your facial rejuvenation procedure. 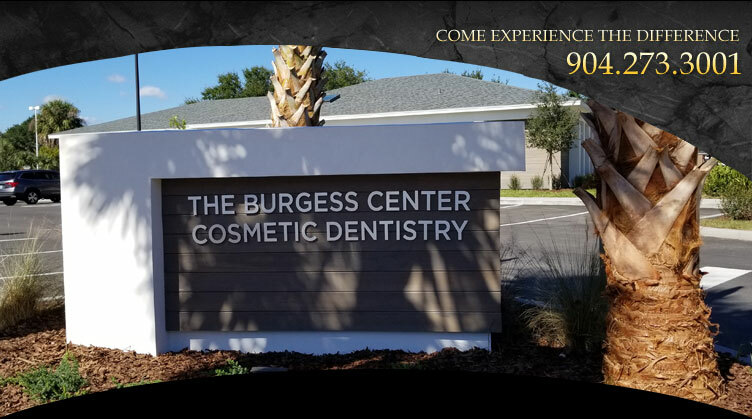 To learn more about our aesthetic treatments or cosmetic dentistry, call the Burgess Center at (904) 273-3001.